Today What’s App is a fabulous media to market your product. We help you reach maximum users with creative graphics. 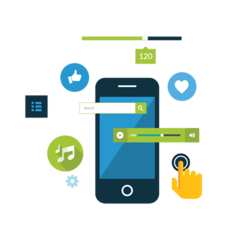 We do app store optimization to ensure that the app gets the best visibility. We offer actionable advice to reach as many potential users as possible in a marketing plan that fits your budget. Get 400+ links of Mobile App Marketers in just $21 or less. A E-voucher is an accounting document representing an internal intent to make a payment to an external entity. E-Vouchers are used in the Organization primarily as proof of a named customer's right to take a service at a specific time and place. At Seyasoft, our marketing experts work with the client to craft a description that engages and persuades people to buy their app. We then work to formulate the right mix of keywords to match their app with a captive audience of consumers. 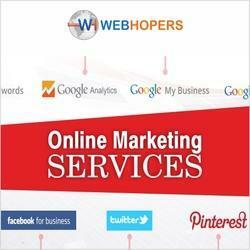 With our advanced SEO and SEM strategies, we can further build on the current campaigns. Human Tendency. It feels awesome if you receive wishes, greetings, gifts from anyone you may or may not know on your Birthday or Anniversary. So does your client. Your mobile marketing plan should be as unique as your mobile app. How, when and where you launch demands that you revisit the user profile that was developed during application design.